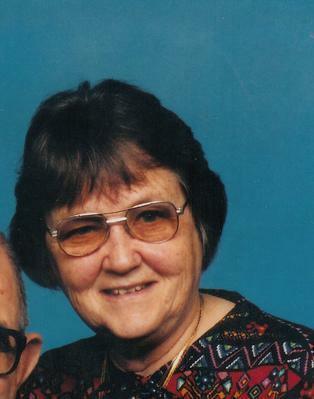 Norma Jean Davidson entered the kingdom of heaven on November 21, 2014 from Springfield, MO. She was born in 1929 in Buffalo Gap, Texas to Bernice and Thelma Brookreson. She loved to be known as the Texas hugger. She worked as a Home Economics teacher and later as a Psychiatric Technician, but was also a wonderful wife, mother and friend. She was a charter member of Evangel Temple AG church in Springfield. Survivors include her husband, Dr. Steve Davidson, two daughters; Trudy and husband Ray Shaw, Carol and husband David Osborne, one son; Mark and wife Dona Davidson, two sisters; Nita and husband Bob Beard, Fanny and husband Gary Vaughan, eight grandchildren and one great-grandchild. Her funeral services will be on Tuesday, November 25, 2014 at 10am in the Maranatha Village Chapel on Norton road, with burial following in White Chapel Memorial Gardens. Visitation will be from 9 to 10am at the Maranatha Chapel, prior to the funeral services. In lieu of flowers, memorial contributions may be made to the Steve and Norma Davidson endowed scholarship fund at Evangel University in Springfield, MO.